Maj. Gen. Lawrence Martin, assistant deputy under Secretary of the Air Force for Internal Affairs, listens as Capt. Michael Byrnes, Chief of Staff doctoral scholar, briefs attendees about pilot retention at the annual Air Crew Summit at Joint Base Andrews, Md., Sept. 22, 2017. Throughout the day, Goldfein challenged presenters and leaders to develop new and creative solutions for problems ranging from pilot training limitations to filling staff positions to retention. The 2017 Aircrew Summit is part of the Air Force’s Aircrew Crisis Task Force’s ongoing efforts to address the service’s growing shortage of experienced aircrew. Air Force senior leaders from the headquarters, major commands and other experts discussed strategies, plans and initiatives falling under the ACTF’s seven lines of effort: requirements, accessions, production, absorption, retention, sortie production and industry collaboration. 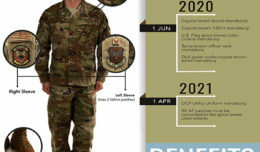 “We presented some ideas to General Goldfein that are the first steps in completely changing how the Air Force recruits, trains, manages and employs our aircrew,” said Brig. Gen. Mike Koscheski, the Air Force’s Aircrew Crisis Task Force director. Leaders at the summit were briefed on proposed retention initiatives to limit and incentivize non-command 365-day deployments, production initiatives that prioritize flying training and offer alternative methods of aviator training and requirement initiatives that adjust crew ratios and balance instructor pilot numbers. Increasing assignment process transparency and career predictability for Airmen were frequent themes at the summit’s retention discussions. Although the majority of proposals discussed were designed specifically to address the aircrew crisis, Air Force leaders also discussed the need to expand initiatives to take care of non-rated Airmen and families as well. The challenge of retaining qualified aircrew is compounded by limitations on the Air Force’s ability to train sufficient numbers of pilots each year, making it more critical to retain each individual. 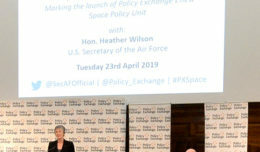 Participants also discussed various options for increasing pilot production through contract support or additional aircraft, which would enable the Air Force to train more pilots. 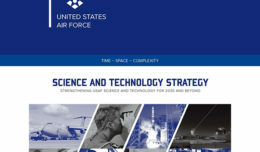 Additionally, briefers presented options for limiting staff positions and lengthy deployments for fighter pilots, which currently account for the majority of the service’s pilot shortage.